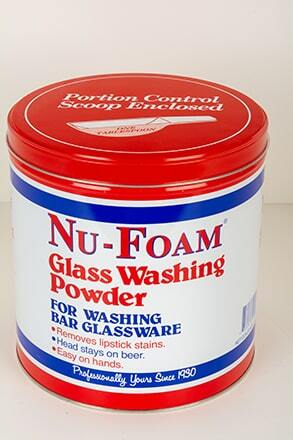 The original glass washing powder, made especially for the washing of bar glassware. 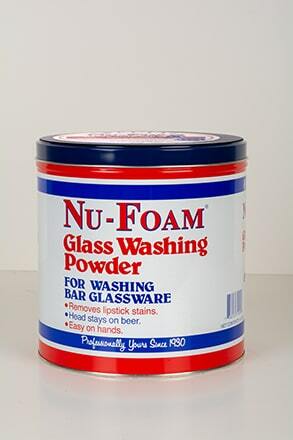 Beer glasses washed with NU-FOAM® retain head on beer. Very easy on the hands, allows glassware to dry with no streaks or spots. For those who prefer liquid to powder. For hand washing of bar glassware. 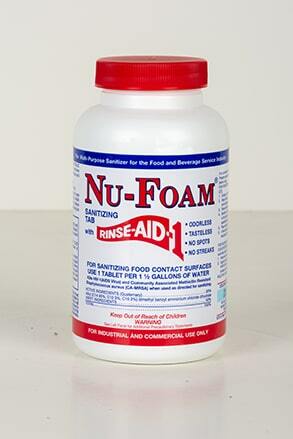 NU-FOAM® easily removes lipstick stains and fats from glasses. Beer retains its head. Ideal for use in taverns, pubs & restaurants. Glassware sparkles like crystal. Very easy on the hands. 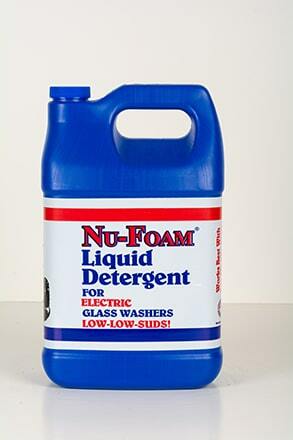 This premium quality detergent has been developed expressly for use with any underbar electric glass washing machine. 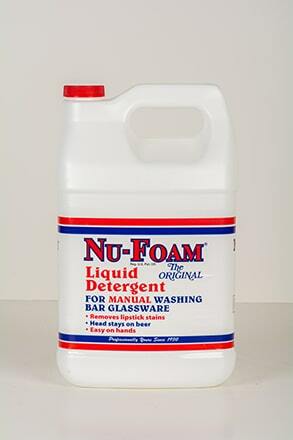 With the sudsing ingredients omitted, this special formulation has been developed expressly for use with any underbar electric glass washing machine. Kills HIV-I (AIDS Virus) when used according to directions for sanitizing bar glassware. Made expressly for sanitizing bar glassware, dishes, pots, pans and utensils. For use in all taverns and restaurants. 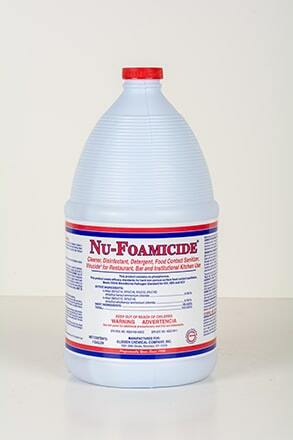 Eliminates spots and streaks, leaves no taste or smell. This concentrate is specifically formulated to wash & sanitize in a two sink operation when used with any underbar electric glass washing machine.